The border crossing from Croatia to Bosnia at Nova Sela was very simple. There’s a road toll immediately after the crossing set to cover the first stretch of Bosnian highway (a few kilometers at best); Croatian kunas are not accepted there but euros are and the change is given back in Bosnian marks, so make sure that you have some euros or marks handy. As we exited the highway and drove towards the hills, I was immediately struck by how lush, green and quiet this part of southern Bosnia is. Roadside stands with stacked honey jars for sale dotted the motorway; I was extremely tempted to get some but we were still at the beginning of our roadtrip and I figured that I would just find some more on our way back (I didn’t). It was my first time in the country but Nikki’s third and he grinned at my obvious surprise at the gorgeous countryside. I hadn’t really thought about what to expect from Bosnia but I hadn’t associated the place with a sense of peace which was very much what I felt as we drove around. This, I was glad to note, contrasted heavily with the negative impression of the country that I had built after many years of watching the war reportage streamed in the media. Bosnia and Herzegovina is complicated as are most of the countries in the Balkan region, due to the relatively recent territorial conflicts. The country is actually divided into the Federation of Bosnia and Herzegovina and the Republika Srpska, both of which are divided into further segments. Ultimately, there are no real boundaries and it was only because of the road billboards advertising “Welcome to Republika Srpska” that we realised that we had crossed over from one region to another. 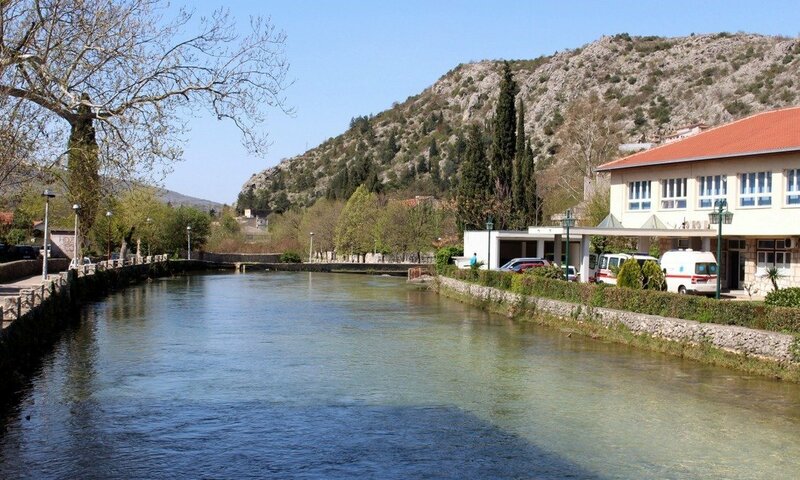 Our only stop on this part of the road trip was Stolac, a very sleepy little town with Ottoman-style architecture where several old men were lounging outside coffee bars enjoying the sun. They seemed to be rather amused by our presence and smiled and waved as we passed by. We bought a massive meat burek from a little corner shop and settled down to a little picnic on the river bank. The setting could not have been more picturesque. Later, we took a short walk up the river and arrived near a beautiful little old bridge known as the Inat Cuprija and a restored flour mill. 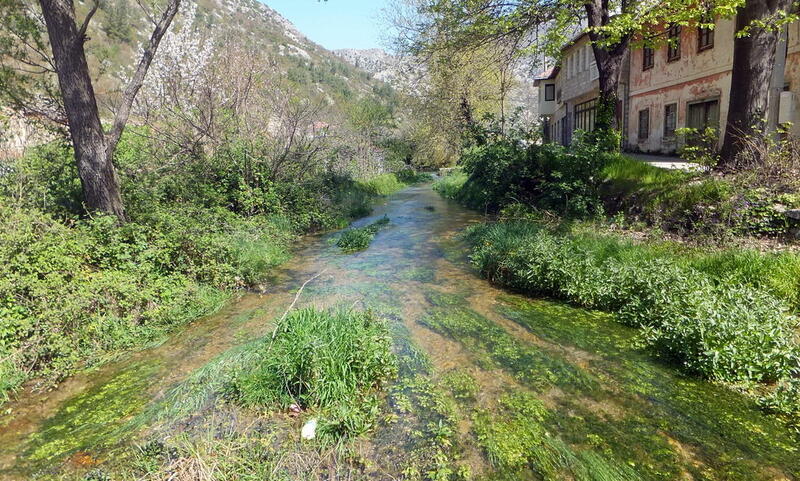 I never expected southern Bosnia to look so pretty! 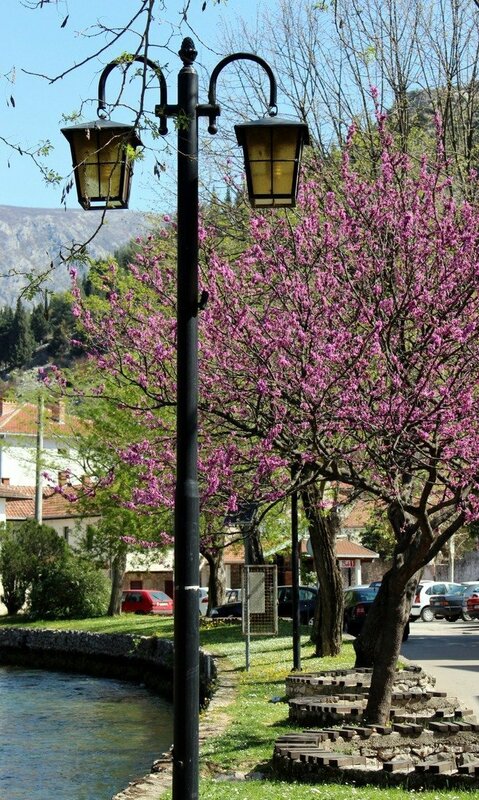 Stolac is a peaceful and idyllic town today, yet its recent war history cannot be easily erased. 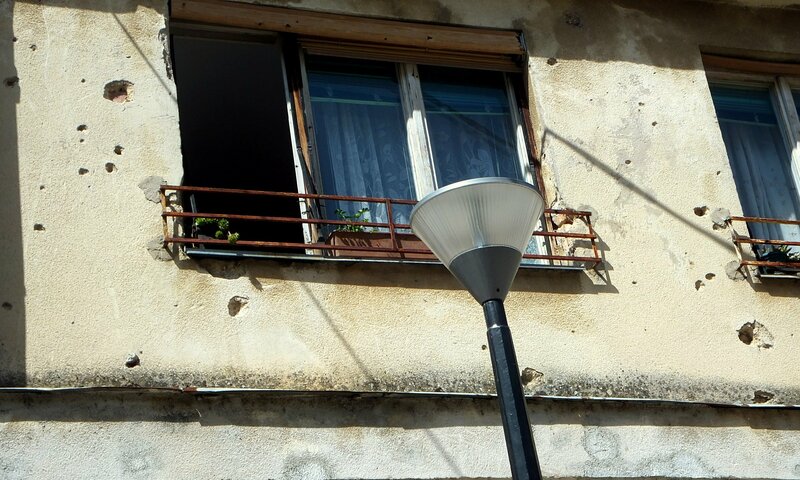 Occasionally, we came across a destroyed building or houses riddled with bullet holes, a stark reminder of the bloody Bosnian war during which Stolac was heavily attacked. In contrast, the town is so peaceful and quiet nowadays…. We only spent a few hours in southern Bosnia this time round but it was a great, short introduction to the country!